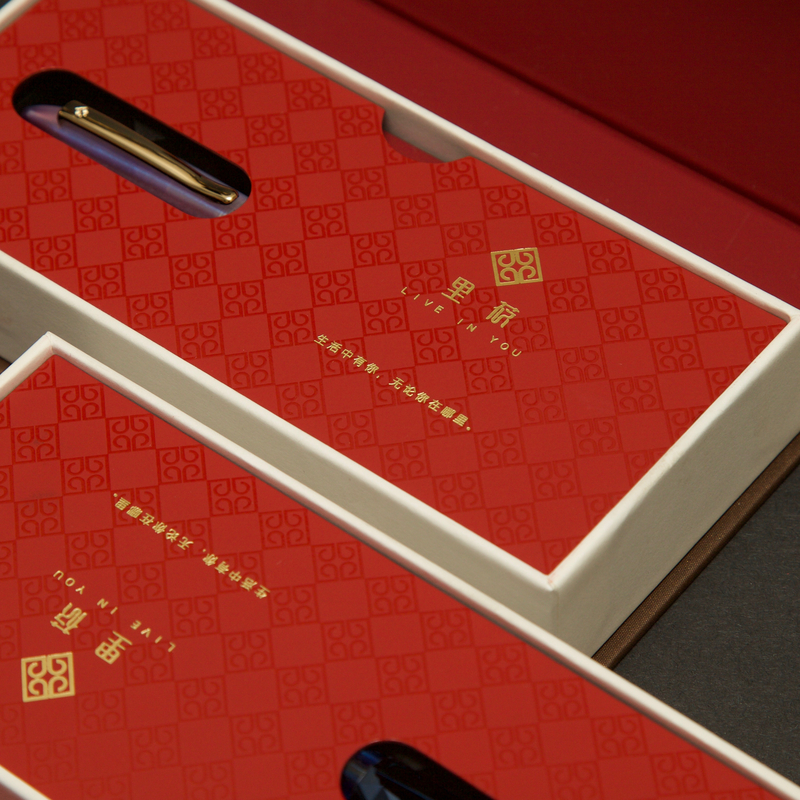 If you know the brand Live in you (里莜), you know a lot about the Chinese domestic pen makers. Even for a fountain pen addict like me who always keep an eye on online communities, I just haven’t seen any mention of it before. 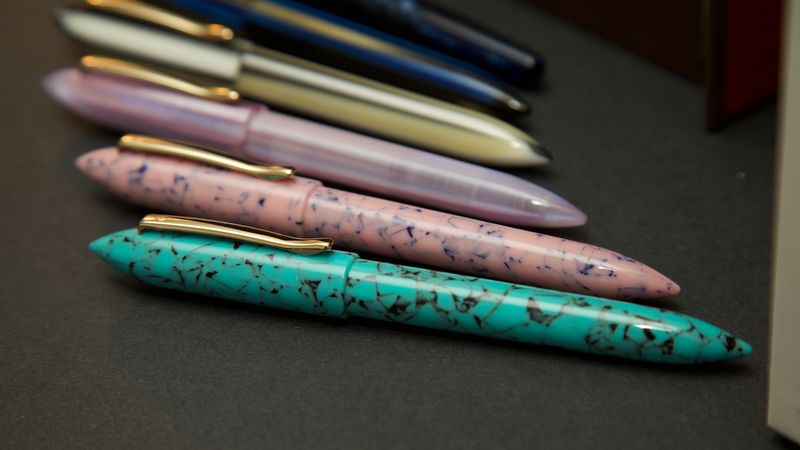 Even today, there is no active discussion building up around this brand and its offerings among Chinese pen communities. Luckily, some of its products popped up for a short period on eBay this fall, and they won my full attention because it was hard for me to believe what I saw. 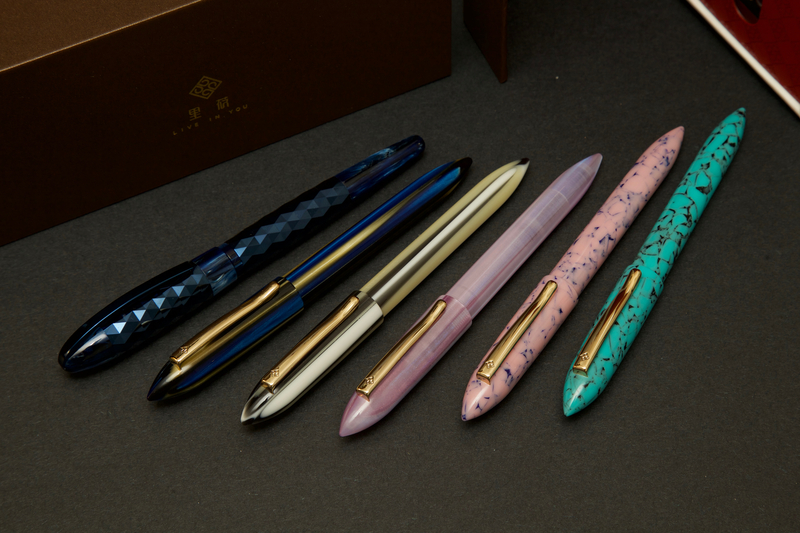 It seems to be a Chinese Edison or Franklin-Christoph, since the company is making pens with well-processed acrylic and metal, high-quality German-made writing system, along with a premium branding strategy. How could this happen without getting people’s attention? Therefore, I ordered some of the Live in you pens from their TaoBao store and prepared to be disappointed, which, after one month of use, turned out to be an unnecessary agitation. Today I am going to review the MiTu line, a mid-range cigar shape pen from Live in you (Liy). Let’s start with the basics. 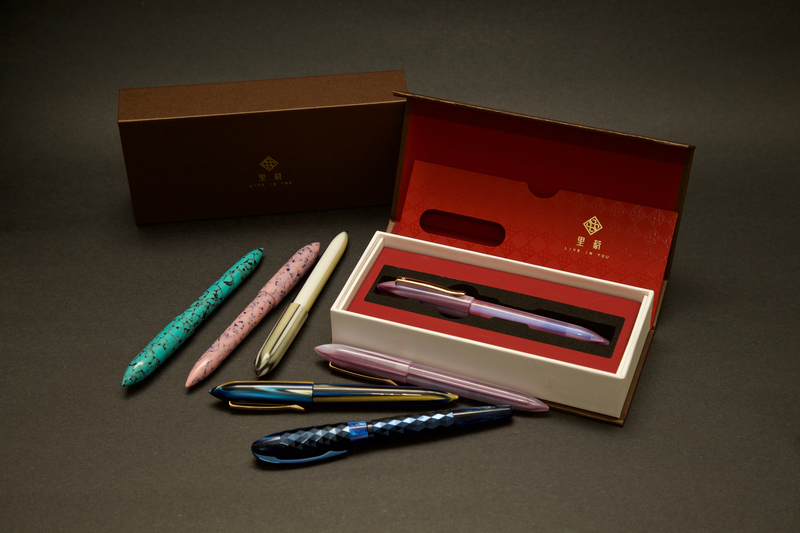 The MiTu costs 208 RMB ($31.45) regardless which one of its five acrylic patterns you prefer, and it comes with an F steel nib, gold trim, and a beautiful presentation box. 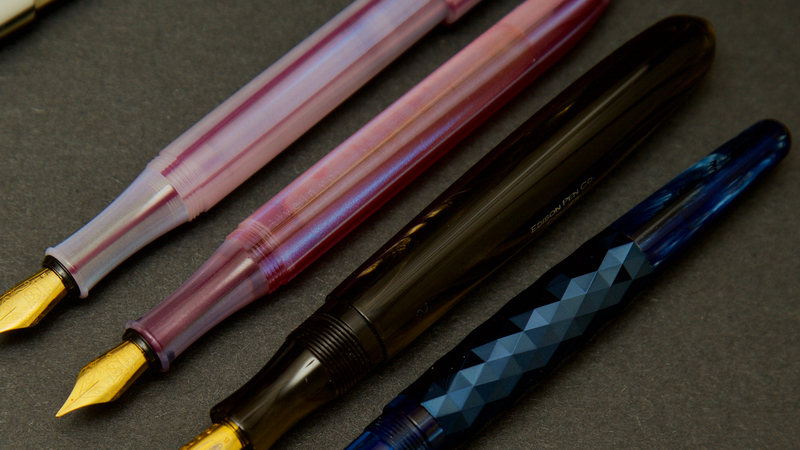 That sets it aside from other Chinese pen makers almost instantly: for that same amount of money you can have three acrylic Lorelei or three moonman M1, or, at least a dozen of second-tier copycat pens branded in Jinhao or Wing Sung. 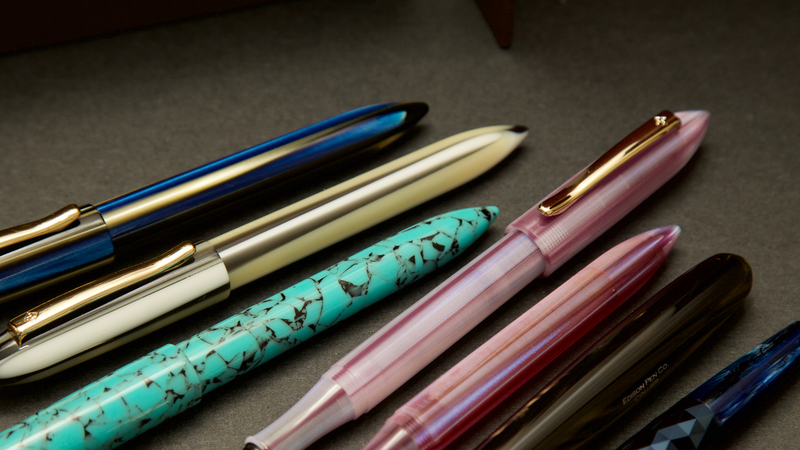 With that amount of budget, you are also safe to try one of the favorite western models such as a Pilot Prera or a Noodler’s Konrad. We also should also be reminded that the Chinese fountain pen users inherently fancy a gold nib pen when they pay more than the 200 RMB threshold, thanks to the aggressive price tags from Hero 100 and its counterparts over the years. That means the MiTu has to do little more to justify. First the classic torpedo shape design, which looks instantly similar to an Edison. It basically a smaller version of the Nouveau Premiere. They both share the look of a pair of slim, tapered ends and a curved section. 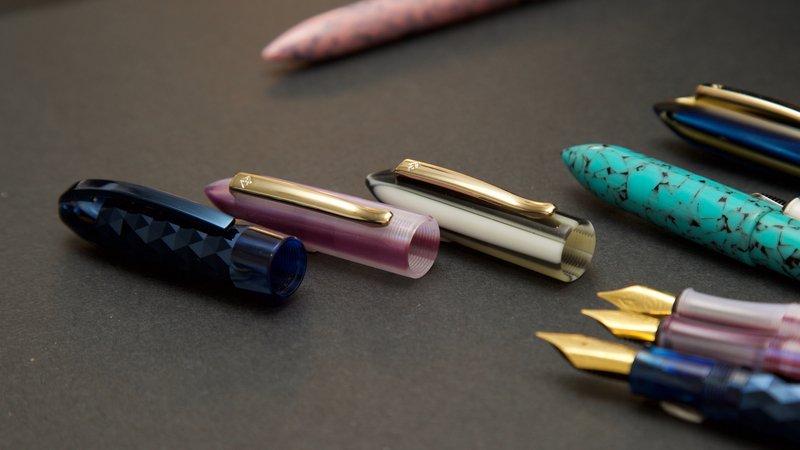 They both have a well-polished body made from astonishing looking acrylic rods, in addition to a premium German-made steel nib unit and converter, which is insurance to the positive daily writing experience. But the MiTu weighs 15g, with a length of 14cm (closed), compared with Nouveau Premiere’s 17g and 17cm. The only significant difference is that the MiTu decides to fit a #5 Schmidt nib unit rather than a #6 inside the body (see that later). And it also has some unique Live in you touch such as the seamless design of the cap, which has no finials since the clip was inserted into the cap through a tiny cut on the cap. 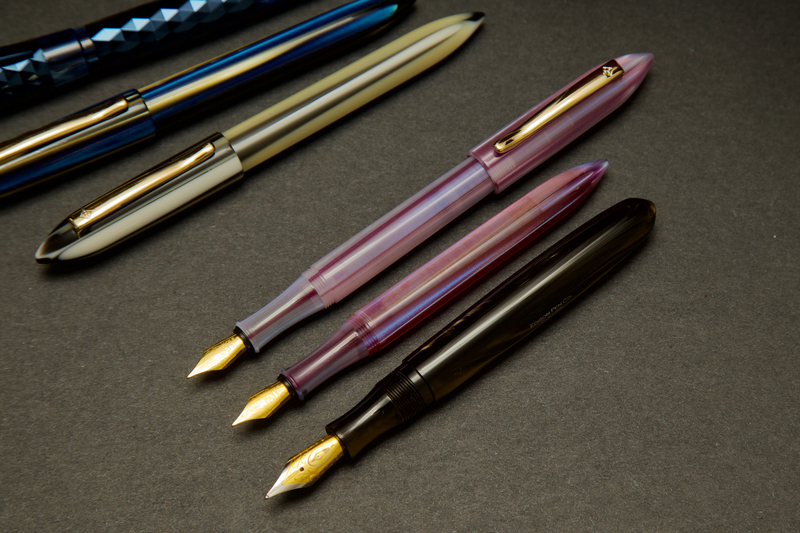 Thus, the MiTu made to maintain a consistent acrylic pattern, unlike the Edison. Branding job has also been done neatly, with a tiny logo on the clip and a subtle line of brand name sitting quietly behind the section. Therefore, the MiTu is set to showcase the beauty of the acrylic material. The company currently offers five different patterns in the MiTu line, and each of them got a nice traditional Chinese style name, ranging from Chen Mu (the sunk timber) to Ci Hua (the talk of china). They are all nice-looking acrylics, but my favorite so far is the Tang Yun (the clouds among crab apple blossoms). Tang Yun is the only one of the product line that features a semi-transparent material, which gives it more depth. Amid the pink and purple color that mimics crab apple flowers, some electrified blue and white will pop up in some angle, just like some mysterious clouds, living up to the denotation of its moniker. For a detailed looking of the MiTu’s available pattern, please open the review pictures in new tab to see them in full definition. Inside, the MiTu features the aforementioned nice #5 Schmidt nib unit, along with an extended converter. 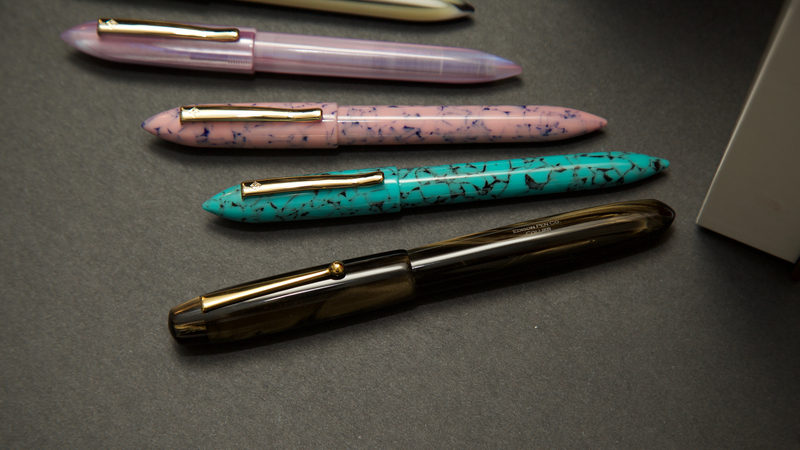 The curved section similar to a Nouveau Premiere is also enhanced with a raised edge in the end, preventing user’s finger sliding towards the nib and sealing the pen better. The nib comes only in F, which is not a big deal breaker since it is an all-rounder width, especially for the Chinese market. 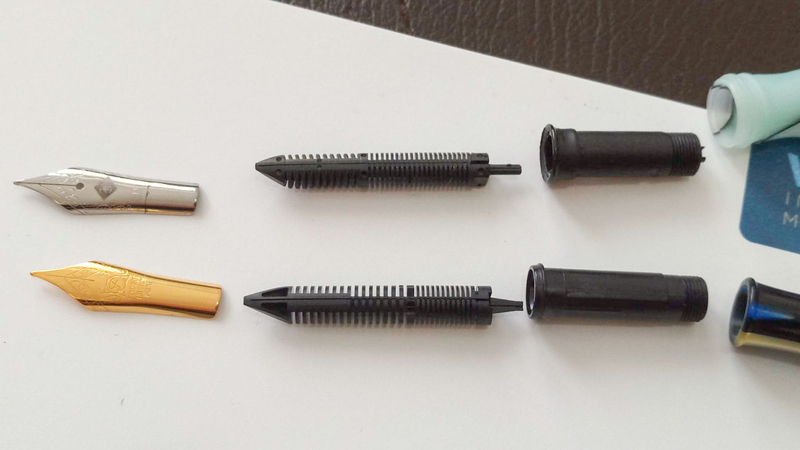 If you dislike the nib width, you can just swap any other #5 nib into the nib unit easily with the help of a rubber band since it is a standard one. In the same way, you can also deal with the issue of nib color, just like what I did to the MiTu Chen Mu—interchange its nib with a Franklin-Christoph Model 45. Under the main barrel, which is also a single piece acrylic, there is nothing to complain, too. The acrylic thread is kinda long and snug, making it perfect to be transformed into an eyedropper. Having used the Tang Yun as one eyedropper for more than one month, I see no issue. Same goes for the standard c/c system made by Schmidt. But after extensive usage with the MiTus, one disappointing issue emerged—the grip section feels too thin and poorly shaped. By saying these I am not complaining it is ugly, on the contrary, it looks fine. But the fatigue of my finger grows extensively after more than one page of note taking, which is unideal for a pen fitted with an F nib for journaling. The reason is apparent in the way the grip was curved. First, it was not curved symmetrically (like what you will find in a Kaweco or a Nouveau Premiere), and it was too thin. All those facts add up to a handling experience not unlike holding a pencil. Sure, I can adjust my gripping position by pressing the higher part of the section, but unless I rest my thumb finger on the main barrel, the way the grip is curved will always guide me downward. However, the gripping problem doesn’t render MiTu a bad pen, cause normally one doesn’t need to write non-stop for pages after pages so that MiTu won’t hurt your fingers too much. To be fair, I am comfortable to say it is the only issue I had with this pen, which is a rare thing for a Chinese pen. The overall build quality is precise and sturdy, the acrylic has no smell at all, and the seamless body just looks like an eye-candy. For 208 RMB, this pen is an excellent value for Chinese fountain pen users who want to test the German nib unit out and have a design similar to Edison without paying too much and waiting for the customs clearance. 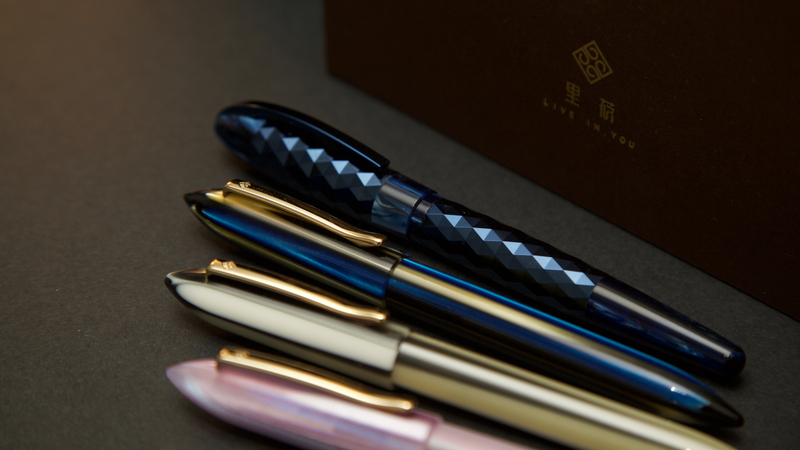 For thirty dollars, the MiTu is undoubtedly asking a premium for a Chinese brand, but mind you this brand feels quite different from other pen makers in China, which is a topic I will cover later after reviewing Liy’s flagship, the UNSEEN series. 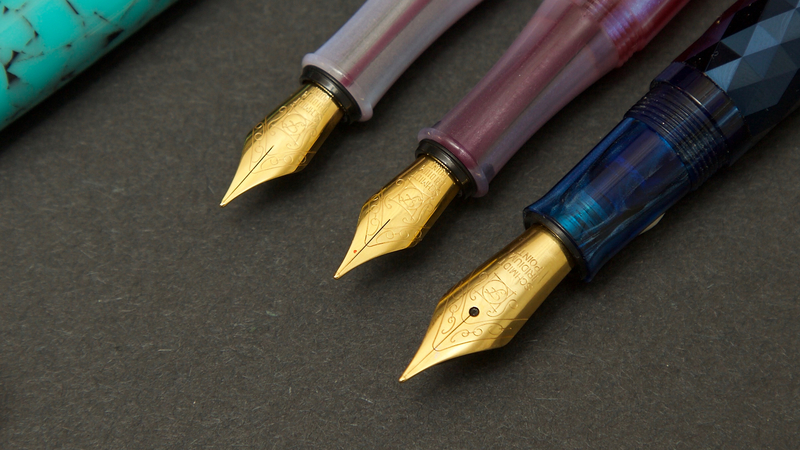 Update 11/12/2017: After the Singles’ Day sale, I have found the MiTi series is current offering EF size Schmidt nib on top of the F version for the same price. Among the item description, a new color of acrylic may have also been leaked (the first one from top in this picture). Wonderful photos! I’d love to know more about the blue pen with triangular facets. 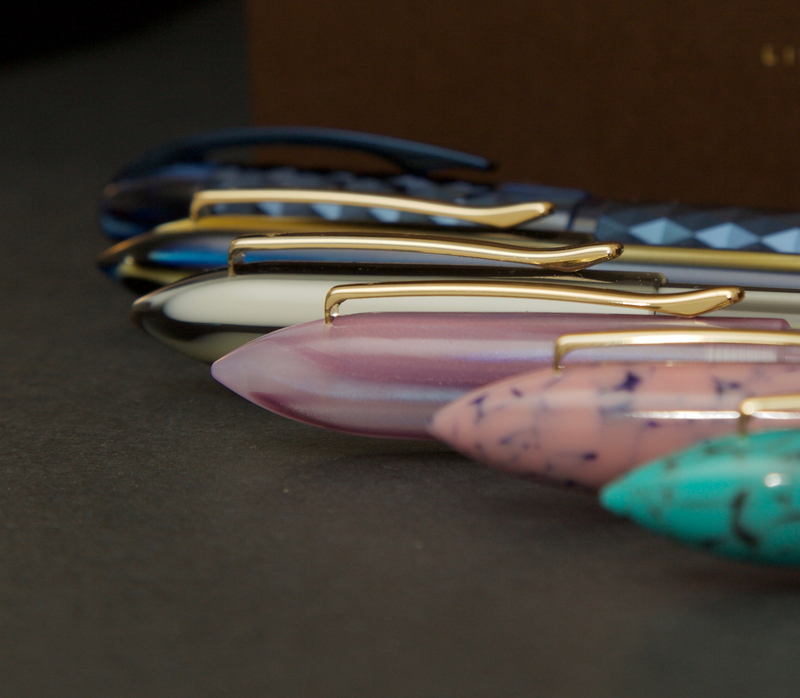 It doesn’t look like the other MiTu pens. only question to ask where can you buy these pens. the blue triangular and the the two below it in the pic of 6 pens. they are wonderful! I need them 😉 !!! Taobao.com is the go to place! You can check out via Aliexpress, but as someone has pointed out, the price there is unrealistic… Hope one day they would stock them in eBay. Frank can you please share the link to their listing on taobao? In your avatar photo are you wearing a wet suit? That’s me in a black shirt, wearing a texas bolo tie. Great pen. Thank you. Shame it is it not on eBay. I enjoy the design, quality build & nib. Video review in the works. Happy Thanksgiving Chris! Really glad that you enjoy it, looking forward to see you in Jersey! Hi Frank. Quick question. Are these nibs friction fit? They are the same #5 nib unit you see elsewhere. They are friction fit in essence, but normally you just screw out the whole nib&feed unit together to swap the nib. Thanks for the info. I heard the Schmidt nibs and feeds are kind of crimped together, making disassembly much more difficult. Will a Jowo nib unit fit? 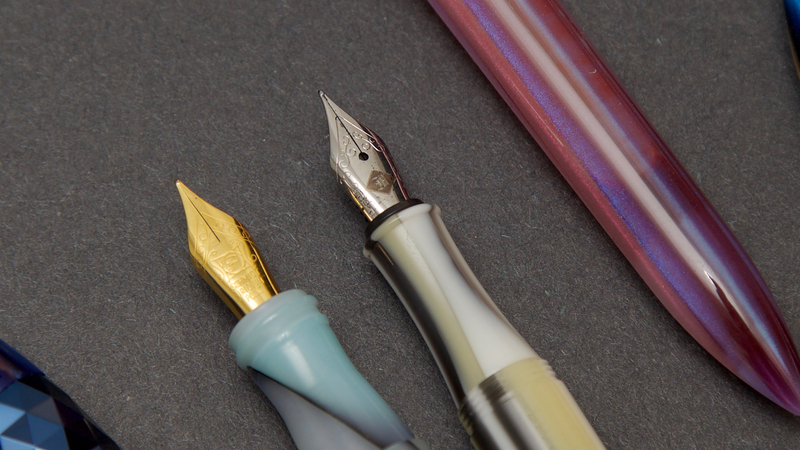 A Jowo nib from a F-C certainly fits in the nib unit of MiTu well, as you can see in the picture. Hi Frank! I like this pen so much but I am affraid of it is too small for my hand. My size is Jinhao 159 ( clone of Montblanc 149), I have 1 Pilot Metropolitan but now I can use it because it is too small. Could you please give me its grip dia? Hi Longts! Sorry for letting you wait, and although I don’t have tools to measure the grip diameters of the MiTus I have, I do have Metropolitan to compare with–they feel alike in terms of gripping. Eason told me back in April that it is a design flaw and we may see a wider grip version of the MiTu soon.